Through our specialist marketing, the UK’s only dedicated waterside property network brings together local expertise and national presence, meaning that Waterside Network member agents stand out well and truly from their competitors. We are able to offer you and your clients an unrivalled level of first-hand knowledge and expertise in this specialist sector. Selling any property by the water requires this specialist know-how, and membership of the Waterside Network will help your company benefit from this expertise as well as becoming the acknowledged leader for waterfront homes in your area. Purchasers of waterside homes often have broad requirements in terms of geographical location and are frequently looking across several areas for their ideal home. Waterside Network member agents can use this to develop an additional income stream by referring both buyers and sellers to other member agents across the Network and earning a commission referral fee. Membership enables you to directly target those unique homes on or near the water in your area. 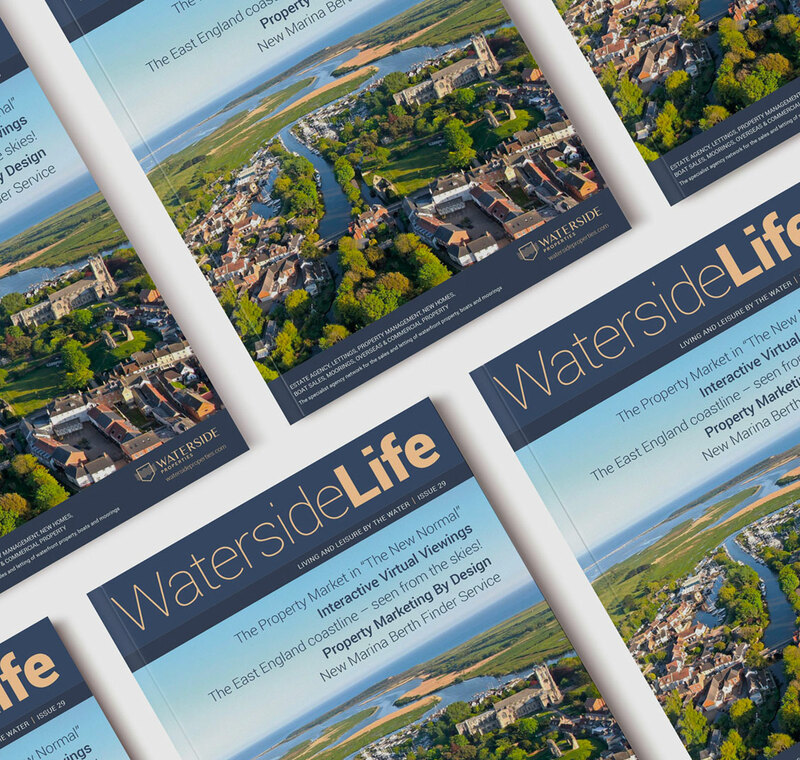 Plus, with purchasers of such properties often focused on specific lifestyle features and not just location, the Waterside Network allows you to reach these discerning buyers directly through Boat Shows and our other “lifestyle” promotional events. Whilst some estate agents may claim to have their own waterfront department, no other specialist waterside property network exists; only Waterside Properties can gives you such a powerful online presence, combined with prominent displays of your company and your properties in both Waterside Life magazine and at the Boat Show – a very tangible display to both your vendors and purchasers. Waterside membership allows you to demonstrate to vendors your commitment and expertise in selling their unique property. This is one of the biggest reasons that many agents join the Waterside Network – not least because we guarantee that as membership in each area is on an exclusive basis, you will be the only agent to be granted membership in “your patch”! Feature in our full-colour glossy magazine, published three times a year – as well as listing full details of their office locations and contact details. The magazine features not only the finest selection of coastal, riverside, lakeside and marina homes in this country, it also includes a wide variety of news and editorial features about life on the waterfront. Waterside Life is distributed free of charge throughout all member agents’ offices, as well as at the Boat Show, waterfront restaurants and hotels, yacht brokers, marina offices, and yacht clubs, in addition to being available online. ...with Waterside Properties becoming one of the “must visit” stands at the Show for many visitors. Waterside Network member agents are able to display a selection of their properties and sales particulars, together with their own branded marketing materials, in addition to having their own staff in attendance if they wish. 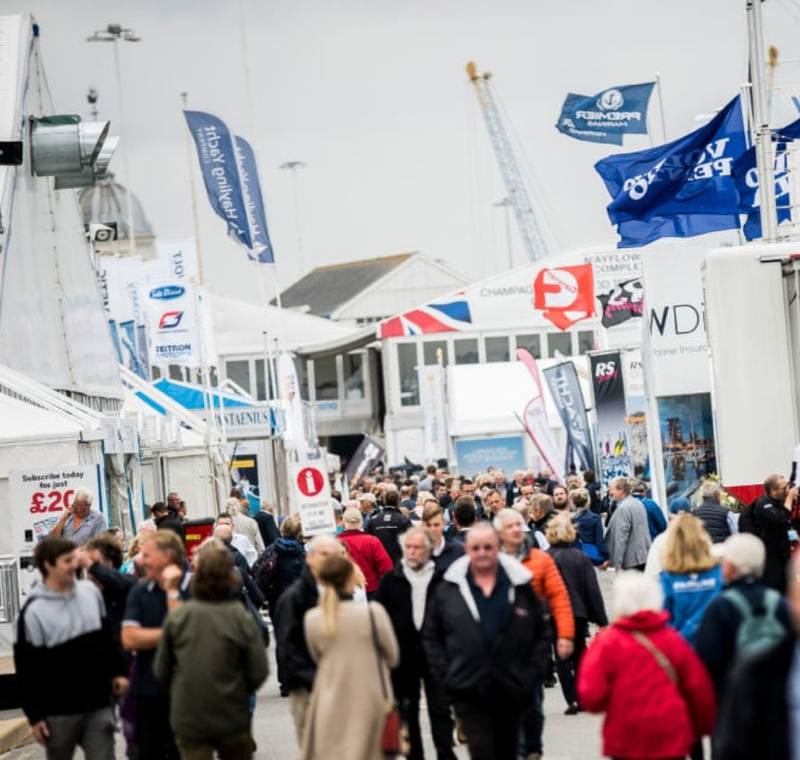 It’s also worth noting that Waterside Properties are the only company who consistently exhibit at the Boat Show – a commitment that ensures we have the very best location for our impressive stand! Fill out our quick form to find out more about becoming a Waterside Network member agent.